Write a C++ code to convert binary to Decimal number. Given an input binary number, we have to write a code to convert binary to decimal number. 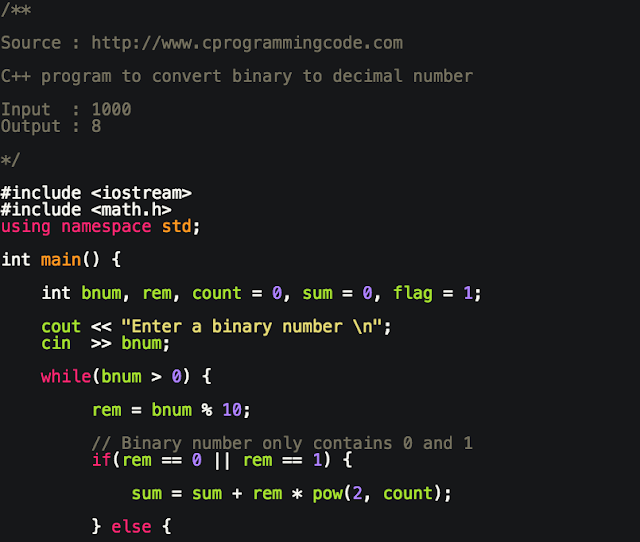 In this program, we write a code which takes an input binary number and print it's decimal representation.